The money was used to allow 10 adoption fees to be reduced 50%. This allowed us to get our dogs out and adopted at $100 instead of $200 for our adult dogs. This grant allowed us to get more dogs adopted so that we could clear our shelter and our fosters up in order to rescue more dogs from the e-list at our local shelters. 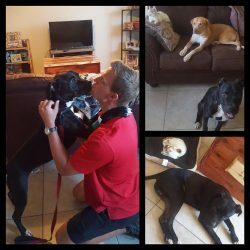 With the discounted adoption fees and this grant, we were still able to balance and receive the same amount as if we had adopted out 10 dogs at the full adoption rate. 10 pets directly, but we were also able to take in 10 more dogs due to this grant helping get those 10 dogs adopted. 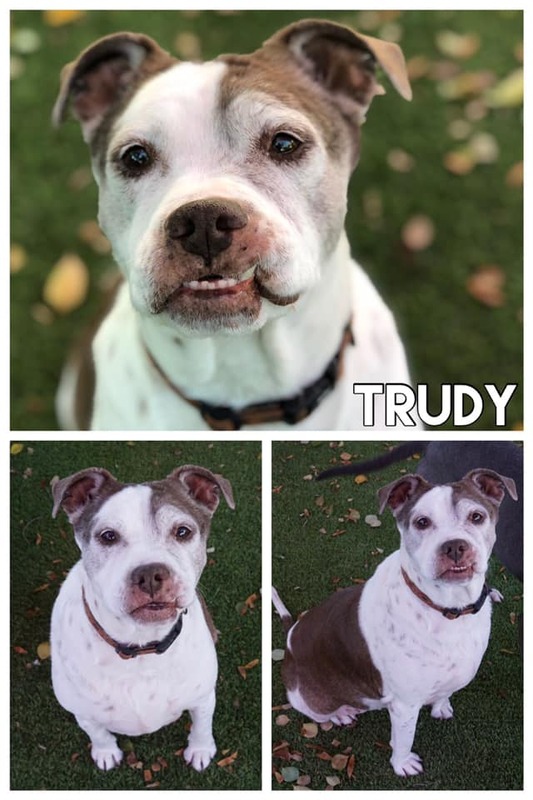 Meet Trudy! This little old lady spent an entire year at the crowded county shelter where we found her. Trudy spent a short four weeks with us before we found her the perfect home! Because of the grant we received from the Petfinder Foundation, we were able to discount her adoption fee and get our amazing “senior” (she’s 8 years old) into a wonderful forever home! Meet handsome Ransom (second photo)! This amazing boy was adopted by a wonderful family that had adopted another dog from us the year before. When the two dogs were playing, they noticed Ransom was limping, and the limp got worse as the days passed. Because of the grant, we were able to help the family by returning half of the adoption fee so that his treatment wasn’t such a hardship. After blood work and testing, we found out Ransom had valley fever. He is now on the medication he needs and is living a happy, active life with his forever family!